HAPPY NEW YEAR !!! When looking for an investment in Destin, we came across the most spectacular home we have ever seen. 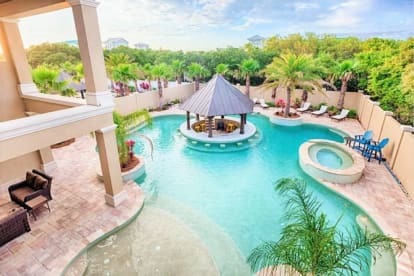 The 100,000 gallon saltwater pool with swim up bar reminded me of a Las Vegas style resort pool, the dream kitchen, 8 marvelously appointed bedrooms and bathrooms, elevator, game room, views of the Gulf of Mexico, easy beach access , etc. etc. etc. .... we knew that this would be a vacation renters paradise !!! So in 2016 we purchased SPLASH and we have vowed to make your stay the most memorable vacation ever.... FAMILY VACATIONS , WEDDINGS, REUNIONS, TEAM BUILDING, RETREATS, whatever the function may be, you can be assured that all of your expectations will be exceeded! 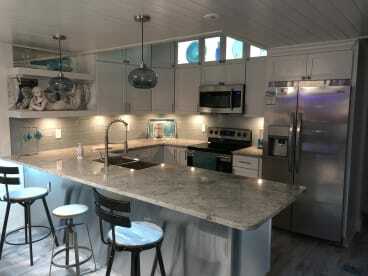 Since we manage and operate SPLASH personally, we are accessible 24/7 giving you the peace of mind you deserve when renting this fabulous home....our hearts are with your vacation!!! Please feel free to contact me anytime at 716-628-5000… I can be flexible on minimum stay periods and special requests too ! Hope to see y'all at SPLASH in the near future. PS...ALSO CHECK OUT OUR NEW CONDO CALLED “50 SHADE OF BLUE “ located on ECYBO.